In October 2018, I published my first book, Power to the Startup People: How To Grow Your Startup Career When You’re Not The Founder. Here is a recap of recent podcast interviews, press, reviews, and events related to the book. Thank you to the panelists, Techstars’ Julie Penner and Hannah Davis, who helped organize the event, and to everyone who joined us at the launch. VC and Techstars co-founder Brad Feld has been an amazing supporter along my startup journey (as well as the journeys of countless others), including helping me launch Flatirons LGBTQ Tech Meetup in Boulder, CO back in 2014. I’m honored by both Brad’s official book endorsement (check it out on Amazon) and by his generous feature of Power to the Startup People in a recent blog post on Feld Thoughts. What do you look for when you join a startup? What do you negotiate up front when you join a startup? When is the best time to join a startup? When is the best time to leave a startup? In December, Lesbians Who Tech + Allies featured adrienne maree brown’s Emergent Strategy and my book Power to the Startup People at the recent All Gender Book Club hosted at Udemy SF. It was a dream come true to talk about startup careers with the amazing LWT community–thank you to group leader Dom Brassey for organizing and to Udemy for hosting. If you would like me to come talk about Power to the Startup People: How To Grow Your Startup Career When You’re Not The Founder at your organization, please feel free to drop a line via email to sarahbrownmarketing [at] gmail.com. P.S. In other non-book news, BuildingConnected is now part of the Autodesk family and I’ve become co-organizer of San Francisco Bay Area Vegans In Technology Meetup. I’m thrilled to share that my new book Power to the Startup People: How to Grow Your Startup Career When You’re Not The Founder launches today! This book has been two years in the making and would not have been possible without the incredible help and support of so many of my friends, family, and members of our startup community. In today’s tech startup world, career paths are nonlinear. A startup career can be rewarding, but it often can be challenging and confusing. While a ton of proverbial ink has been spilled on how to “crush it” as a founder or startup leader, there’s very little in the way of guidance for how employees can hack our own careers. If we’re lucky, we find mentors who have had careers we admire. But we may never find these people. Or, if we do, it may be too late, or their expertise in the particular area with which we need help may be limited. Entrepreneurs get the lion’s share of glory, but much of the work is done by us: the contributors, the team. This book was born out of my desire to find answers to my own questions about how to have the best startup career possible, while ideally avoiding some pitfalls that, unfortunately, are hard to foresee unless you have a direct mentor relationship with someone who has experienced a similar situation. I wrote this book from the vantage point of being a startup employee who wants to navigate my career as successfully as possible, while enjoying the journey along the way. While this book is not by any means exhaustive, it will hopefully help readers make more sense of the world of tech startups and make better decisions about their careers along the way. I have a greater purpose for sharing this information. I truly believe that we, the startup people, hold the power of the tech industry in our hands. By taking command of our own startup careers, we will make a greater impact at the companies that are shaping our future. As the world grapples with questions about the nature of technology in our lives, with concerns about privacy and data and our looming automated economy, we, the employees who make this ecosystem work, will have to decide which companies deserve our time, sweat, and tears. My goal for publishing this book is to give us more choices and more power to shape our own destiny, so that we can in turn enrich the tech ecosystem with our talents. Power to the startup people! I recently enjoyed chatting B2B SaaS, Customer Success, BuildingConnected, the origin story of Flatirons Tech, and tech diversity & inclusion in the Bay Area and Boulder on the Boulder Tech Cast podcast. 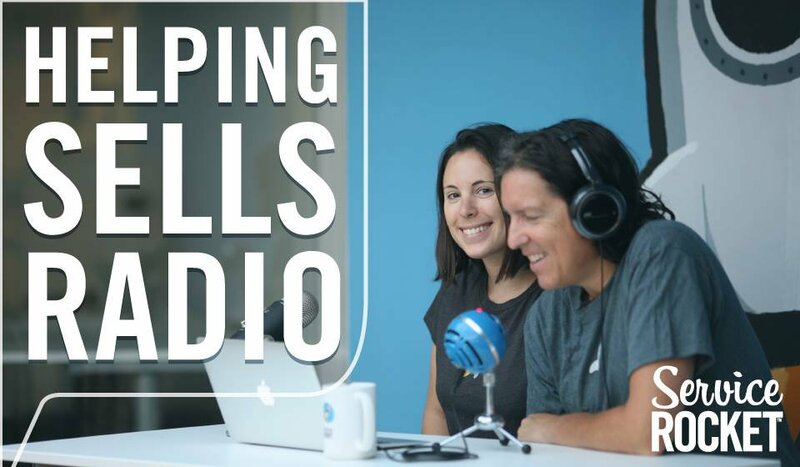 This episode was recorded during Boulder Startup Week 2018 at Dojo4. After a half-decade living in Boulder and three years (technically four if including the time I spent with Learndot prior to the acquisition) working remotely for Palo Alto-based technology company ServiceRocket, I am thrilled to announce I have joined SF-based technology startup BuildingConnected to lead the Content Marketing team. As I settle into my new role and Bay Area relocation, I feel called to reflect on the profound impact living in Boulder has had on me. Five years ago I moved to Boulder, CO from the East Coast. Like so many Boulderites, my Boulder transplantation story was a mix of luck and fate. I had been to Colorado only twice before moving. The first time was in late April 2013. It dumped snow during the entire visit, rendering the streets slushy and the famous Flatirons completely obscured from view. As a native East Coaster familiar with fairly predictable seasons, I couldn’t quite believe it. “What is this place where it snows in springtime?” I wondered. I gave Boulder another shot a few months later in June of that same year and inevitably fell in love with the lush mountain trails and the welcoming and vibrant startup community. At the time I was working remotely for a LA-based tech company and after a wonderful weeklong summer visit I decided to move to Boulder instead of LA. I made the move that fall, just weeks before the infamous Boulder flood, which, incidentally, destroyed the apartment I was renting at the time and ironically connected me to my community far faster, I think, than if I’d moved at another time. Note to Bay Area fault lines: Please don’t feel the need to give me a similar naturally disastrous welcome. Living in Boulder has been a true blessing. In Boulder I developed personally and in my career, becoming a member of a remarkable, active, generous, and innovative startup community. I have built lifelong friendships and experienced what it means to integrate “work” and “life”. In Boulder we take startups as seriously as we take being out in nature and taking time to be active, relax and enjoy our relationships, friendships, and community. There are too many amazing people I love in Boulder to name here, but if you’re reading this, know that you have touched my life. Boulder is considered by many to be an idyllic place; it has gorgeous nature, an amazing startup community, and embraces laid-back sensibility. It is in many ways progressive, and yet, it is also a “bubble”. Like any place, Boulder has its limitations. Boulder’s lack of diversity, particularly in the tech and startup communities, is an issue I have spent a lot of time thinking about and working with others to improve. In 2014, disappointment in Boulder’s lack of resources for LGBTQ+ people and allies in the tech and startup scene compelled me to found Flatirons LGBTQ Tech Meetup, also known as Flatirons Tech. Flatirons Tech, which is now more than 720 members, has partnered with Boulder Startup Week, NCWIT, Foundry Group, Twitter, Google, Sovrn, Galvanize, Kapost, Lesbians Who Tech, SimpleEnergy, SheSays Boulder, and other startups and local organizations to put on local panels, happy hours, and other events centered around increasing tech diversity and inclusion and building community since its inception. Growing Flatirons Tech has been one of the greatest experiences of my life and career. It has been a source of community, inspiration, love, and deeply fulfilling relationships. I am so proud of what we have built and of our amazing co-organizers who continue to grow the organization and community. Working remotely for ServiceRocket was undeniably another cornerstone of my time in Boulder. I am grateful for having had the opportunity to collaborate with some of the most incredible colleagues with whom I have ever worked doing some of the best work of my life. I am thankful beyond words for my time at the ‘Rocket and look forward to witnessing ServiceRocket’s continued growth and success from the sidelines. As I move on to my next chapter in Silicon Valley, I am joining a company that addresses customer needs in a space I am new to: the preconstruction industry, which is a market that has been previously underserved by technology. BuildingConnected is the leading cloud based preconstruction bidding platform that enables owners, general contractors and subcontractors to communicate easily and efficiently throughout the bidding process. BuildingConnected’s company values align with my own, and I am proud to be working alongside talented, creative, and kind colleagues who are similarly inspired to serve our customers and partners. I am proud to be part of a team that is committed to ensuring everyone who joins can be themselves at work. By the way: We’re hiring! It hasn’t quite hit me yet that I’m not on a work trip and that I actually live in the Bay Area again. With each passing day the move is feeling more and more real. The transition has definitely felt easier knowing I now have an official excuse to return to visit Boulder: I am pleased to announce that I am joining the incredible Techstars family as a mentor for the next Sustainability cohort. I can’t wait to meet the companies and get the opportunity to help them innovate to make the world a better place to live. Before working for a startup it is essential to understand company culture and values to ensure you align with them. This is not a complete list, but here are some of the questions I think are worth exploring before joining any startup. 1. How is bias handled? Given that bias is universal, how does the startup you’re considering joining handle bias? Do they acknowledge bias openly, working to ensure that it isn’t playing a role in key decisions like hiring, promotions and firing? Startups that acknowledge bias take steps to mitigate it. Those that sweep it under the rug just end up reenforcing bias. Consider asking an interviewer to give you an example of how bias is addressed at the company. Their answer may be lip service, but you are more likely to find a place that genuinely takes bias seriously if you ask about it and they give you an open, direct answer. Beware when anyone skirts the issue or says it “isn’t an issue”; it’s always an issue. 2. How do departures look? It can be just as important how employees exit (or “retire”) as when they arrive. If employees leave and then sometimes come back, that’s a good sign. If departing employees leave behind a trail of awful Glassdoor reviews, take notice. In fact, the first thing you should do is head to a peer-review site like Glassdoor and find out how employees find the exit process. It’s also worth it to find out if your company has a decent severance package for employees who are laid off or fired. Some startups advertise their severance packages. Netflix, for instance, has a outstanding severance package for employees. They do this to reduce the risk that anyone sticks around who isn’t a great fit and to make it easier for managers to fire underperformers or bad fits. The thinking is if that you’re firing someone who you know is going to have a great parting experience, you’re more likely to do so rather than hanging on to people who aren’t a fit, thus improving the quality of the team. Unexpected or unwanted departures can happen for all kinds of reasons at startups — sometimes a startup hired too quickly, or a pivot means no longer needing a person or department. Your role as an employee is to make yourself as versatile and adaptable as possible, but you may, nonetheless, depart either willingly or unwillingly, and you want to make sure that it will be as positive an experience as possible. 3. What is the dress code? Dressing for success at a startup could mean anything from jeans and a logo t-shirt to khakis and a button-down shirt. Ask ahead before an interview — nothing looks worse than being over- or under-dressed. The key consideration: Will you, in all of your uniqueness, feel comfortable bringing your whole self to work? If you have multiple piercings and hair dyed a color that does not naturally grow on human heads, will you feel out of place? Is there a policy that you can’t live with? Do you prefer to dress up and want to work somewhere that this is the environment? Find out ahead of time by talking to HR, looking on the company’s social media and website and sussing out the office for yourself. 4. Does the company champion inclusivity? Tech still has a long way to go in terms of diversity and inclusivity. The latest reports show that startups are overwhelmingly white male-dominated. This is a big can of worms; many companies purport to champion inclusivity but what does this mean? It’s worth asking outright, but there are more subtle ways to assess startup culture as well. In addition to the company website and sites like Glassdoor, don’t miss company social media accounts (especially if they have an Instagram; that tends to be the least formal platform with posts most indicative of culture), as well as social accounts of company employees — especially those who will be on your team. Related: Be sure that how you personally show up on social media aligns with your values; startups can and will research you, too! Pretend you’re an anthropologist on a mission to observe the startup culture through its kitchen. Go get a glass of water and listen to what is being said. Sample the startup’s snacks and see if they’re organic/gluten-free/free-range enough for your taste. Overhear how employees are feeling about their work and lives. Do they clean up after themselves? Analiese Brown, Director of Talent and Culture at CampMinder, wrote a great blog on the link between employee engagement and kitchen cleanliness. You will invariably learn something if you spend time in the canteen. Even if you’re considering an executive position — or perhaps especially — pay close attention to how the company treats those who aren’t in management. This includes those fresh out of college or those in lower-level positions. Respect for everyone should be a foundation of any company culture, and if it’s not, you can anticipate other problems. Some startups will allow you to join as a consultant on a project basis before you join full-time. This can be a great opportunity to truly understand the work environment, as well as how likely you are to enjoy the experience. Being a consultant is a great way to de-risk your involvement with a startup. You can engage in an initial project with a company in order to assess fit with the team with whom you’ll be working, assess whether the values are truly lived by the company, and overall whether you and the company/role are a great match. Some companies have employees do an unpaid test or assignment before joining. This is not the same thing as being a consultant! It’s one-sided and doesn’t quite give you the chance to dive in with a team, whereas with consulting, you’ll be contributing something tangible, be paid for your work, and get a much better insider’s view of the business. Not every company will allow you to do this, but it’s worth asking if it may be possible to do an initial engagement prior to working together. It’s Saturday morning in Boulder, Colorado. I am sitting on my couch in my striped blue-and-white pajamas, staring at two emails in my inbox inviting me to speak at tech events–one in the Bay Area, where my employer is located, and one in Boulder, where I currently live. Normally I would be thrilled to accept these invitations right away. I want to accept them. “Say yes to challenge” has become my motto throughout my career. This motto has undeniably served me. Outside of the office, pushing myself to be more visible, do more public speaking and share my ideas with the world has led to incredible opportunities, promotions, and career upleveling. But today, I can’t bring myself to hit “yes” in the reply fields. The duo of invites sits there another day unanswered. On the coffee table next to the couch sits a bottle of prescription medication, one of a few meds I’ve been taking these past few weeks to heal from an illness. Being sick has meant that I can’t currently drink alcohol or coffee, dine at most restaurants, and that sometimes I don’t feel awesome. Thankfully, I am still able to work at full capacity, read, write, and organize Flatirons Tech events (come to our next event at Google in Boulder!). But I’ve become less social while convalescing, and networking has taken a backseat. It wasn’t until I got sick that I realized how much of tech networking is organized around imbibing caffeine, alcohol, or being “on” at an event. I know I am not alone in abstaining from drinking caffeine and alcohol, but it can sometimes seem that everyone in tech is throwing back either a Nitro coffee or a craft beer siphoned from a keg. Around when I first started feeling under the weather, I gave a brief talk at Twitter Boulder. During the talk I smiled, trying my best to seem warm and inviting. Immediately after I got offstage, I slipped out of the event. I normally would stay and mingle with the audience, but I simply couldn’t. You may have seen the picture I tweeted and Instagrammed at the event, but you certainly didn’t see the reality of how terrible I was really feeling that day. And that’s just it: in our current social media-driven world, we see only what others allow us to see. I see my colleagues and peers “crushing it” online, speaking at conferences, being out there in the industry, and they likely see the same of me. I feel pressure, as I’m sure others do, to always be “on” and constantly grow, innovate, and become a bigger force in the industry. But I frequently don’t know others’ private struggles, pains, illnesses, and challenges. And they don’t know of mine unless I share. Being sick has brought up a flurry of doubts: Who am I in the tech world if I can’t have a drink at a tech meetup or enjoy a normal business lunch? How long will it take before I’m back to “myself” and am able to say yes to every career opportunity? What if I turn down opportunities and then people stop inviting me to speak at events–and what would that mean for my career? These doubts spring from a dominant startup narrative of “keep growing and crushing it at all costs,” which is harmful to all of us. The “crush it” mindset means constantly seeking opportunities to be in public–public speaking, networking, conferences, as well as taking on so many challenges at work that we’re burning the midnight oil more often than not. Where does the pressure to “crush it” come from? Perhaps it is from the illusion that everyone else is crushing it, and if we don’t too, we’re going to miss out. For some of us, being a minority in tech adds another layer of constantly feeling a need to prove ourselves. Tech is an incredibly important part of many of our lives, but it isn’t our whole lives, and we need to remember that when we’re feeling pressure to “crush it” no matter what. My current health condition, I am told, will likely resolve within a few months. I know I am extremely lucky. Many people in tech silently deal with serious and/or chronic health issues, some of which take a long time to heal or will never fully heal. Others struggle with balancing careers and being a primary caregiver to parents, children or an ailing family member; dealing with a divorce, death or loss; a personal illness, or another significant life challenge. No matter our life situation, each of us will go through a period at some point that won’t enable us to follow the “crush it all the time” ethos. As an industry, we need to think about how we can build a tech culture that is more inclusive of everyone throughout the ups and downs of our lives. Summoning my courage, I regretfully decline the invitations. I know there’s a lot more “crushing it” ahead–even if that isn’t right now. Bootcamps are a great way to get into a programming career if you are motivated but lack the skills. Reputable programs boast a 95% success rate if you follow their career services guidelines; once you land a job as a junior developer, you will always be able to continue to grow as a software developer throughout your career. But bootcamps aren’t right for everyone. To understand who should join a bootcamp and how they should approach the task of finding the right one, I sat down with Flatiron School’s Head of Online Instruction Peter Bell, who shared advice from years spent helping people make these very decisions. Here are the questions Bell recommends asking yourself before taking the leap. If you’re interested in joining a bootcamp, be clear about your objectives. Are you looking to get a full-time job as software dev, to enhance your skills with front-end dev as a designer, or to build the skills required to found a company? Each objective drives a different learning environment. Bell says the first job out of a bootcamp is the hardest job you’ll ever get; after that, you’ll be turning down offers within two years. Once you snag that first job, the only reason you wouldn’t succeed long-term is if you chose not to because you didn’t like the job. Are you sure you really need to participate in a bootcamp to meet your career goals? Bell says if you just want to be a product manager, you don’t necessarily need to learn to code to manage developers. Learning to code gives you deeper empathy, says Bell, but if your only goal is manage development, he says taking a bootcamp isn’t the most effective way to build skills you need. in addition to focusing deeply on skills you don’t need, bootcamps don’t cover a lot of skills regarding product design, agile, kanban, scrum, workflows, and other important things. Bell says bootcamps are primarily training you to be a junior engineer – not build or manage a dev team. So make sure you really want the software dev skills or want to become a software developer. Have you tried free online labs to see if you actually like software development? Bell recommends going to Code Academy or Flatirons Schools Bootcamp Prep Program where you can go through labs for free. These free online programs will show you whether you enjoy the process. “The actual task of being a software developer is writing code. It doesn’t work, then you spend the rest of minute, hour, day or week getting it to work,” says Bell. “Do you find that frustrating or in general to be an enjoyable challenge?” Bell says if you spend hours or days or weeks getting it to work, finding the answer on StackOverflow, trying to figure out why the thing that worked yesterday doesn’t work yesterday, and enjoy this process the way you enjoy doing crossword puzzles, great. “If you get frustrated when tech doesn’t work like it should, you won’t enjoy the task no matter how much you like developer salaries and opportunities,” says Bell. Have you fully researched the bootcamp(s) you’re considering? Assuming you want to become a software dev or have a reason to take a bootcamp, try to check on coursereport.com where graduates provide feedback from their experience. Bell advises you to take the time to look through those reports. Find out: does a particular bootcamp align with your values and learning style? Do you want to do an-person bootcamp or an online course? The first decision you’ll need to make is whether you are going to do an in-person bootcamp or an online course? Bell says the benefits of an in-person course is much more structure. “You complete the course in less time and build good friendships and connections that help you get through program and succeed over time in your career,” says Bell. This is because it is easier to build a network during an in-person course. “In-person is a wonderful experience,” says Bell. He says if you don’t live near an in-person bootcamp and the logistics of moving somewhere for three months, or you have a job or family that make a 60-70 hour week impractical, there are a number of online programs. Whether the bootcamp you’re considering is in-person or online, Bell advises speaking with one of instructors. It is important to figure out the instructor’s objectives and background. Bell advises interviewing a bootcamp company the same way you’d interview a place to work for. He says not to discount cultural alignment. “You’re looking for a place that values similar things,” says Bell. Ask them specific questions about learning environment, and what to do when students are struggling or having trouble with motivation or other issues. Admit your weaknesses upfront to see if it’s a good fit. Bell says you’ll get a good sense for whether the program adopts a “be tough or else you won’t make it” approach or is a more supportive and engaging environment. Has the bootcamp you’re considering scaled quickly? It is not wrong for a bootcamp to be large, but there are cultural challenges with scaling any organisation. As with any company growing too fast, be particularly careful about the quality of the instructors you’re going to be working with. “That will have a big impact on experience,” says Bell. He also advises asking for their jobs report – do they have some statistics on what percentage of grads get a job and average salary, and ideally listed by a third-party. Those statistics can shed light on the quality of the program, regardless of scale. Bootcamps aren’t for everyone. Be clear what you’re looking to achieve from attending one, whether it’s the right program for you, and plan to invest energy into going above and beyond the requirements.